By always trying to be at the forefront of our industry, we aim to provide our customers with innovative, efficient and quality solutions in order to answer to their challenges and needs. For doing so, you will always find us ready for the changes and evolution, looking for an endless improvement. We succeeded in building a family business crossing borders. We are always happy to be able to answer to our client, efficiently. We’ve been in the business long enough to know that quality far outweighs quantity. Over the years, we learned about the natural ingredients market and now, we can proudly say that we own a special skill. We know where, when and how an ingredient is available. Our goal is to provide our clients with a consistent range of selected high-quality natural ingredients. We will never try to do everything because we always try to be the best. We only do what we love to be sure to do it in the best way. Our company ethic is built on strong principles. All of our collaborators reflect and uphold our principles, representing the very best in professionalism. For our customers, that means consistent care and attention. A positive attitude built on honesty cannot be missed. From a good and productive land, strong and blooming trees can grow. We consider that nothing sustainable can be reached without happiness and welfare. The welfare of every individual, directly and indirectly, is our ultimate goal. We adhere to the highest standards in all of our global operations. We stay informed of the latest market developments and industry trends worldwide. We are committed to developing the creative solutions for our customers. We build strong relationships with our customers and consult closely with them to meet their needs. Aromatherapy is a type of alternative medicine that uses essential oils and other aromatic plant compounds which are aimed at improving a person’s health or mood. The essential oils used in aromatherapy have a different composition compared to other herbal products because the distillation used in aromatherapy recovers the lighter phytol molecules. Aromatherapy is a widely used term for a range of traditional therapies that use essential oils. 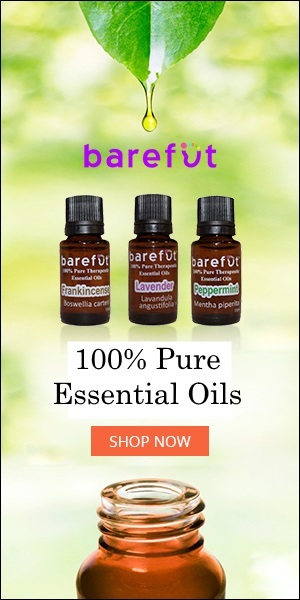 These may include massage oils, or any topical application that uses pure, essential oils – the essential oils are either absorbed through the skin or inhaled. Aerial diffusion – the oils evaporate into the air. The aim is to give the air a specific fragrance or to disinfect it. Direct inhalation – the person breaths the evaporating oils straight in. This is commonly used for respiratory disinfection, decongestion, as well as for psychological benefits. Topical applications – applied onto the skin. Commonly used for massage, baths, and therapeutic skin care. Basil – this is used to sharpen concentration and alleviate some of the symptoms of depression. Also used to relieve headaches and migraines. Should be avoided during pregnancy. Bergamot – said to be useful for the urinary tract and digestive tract. When combined with eucalyptus oil it is said to be good for the skin, and skin problems caused by stress, as well as skin affected by chicken pox. Clove oil – a topical analgesic (painkiller) commonly used for a toothache. It is also used as an antispasmodic, antiemetic (prevents vomiting and nausea) and carminative (prevents gas in the gut). Geranium oil – this is commonly used as a diuretic (makes you get rid of water), astringent (draws together or constricts body tissues and is effective in stopping the flow of blood or other secretions), and antiseptic. Lavender oil – commonly used as an antiseptic for minor cuts and burns. Also used to help people relax. It is said to relieve a headache and migraine symptoms. Also used to help people with insomnia. Lemon oil – used to give the person a mood-lift, also said to be effective for relieving the symptoms of stress and depression. Sandalwood – some say this has aphrodisiac qualities. Thyme oil – said to help fatigue, nervousness, and stress. Aromatherapy does sometimes have side effects. However, they tend to be very mild and do not last long. These include nausea, headaches, and some allergic reactions. Skin sensitivity to sunlight – essential oils derived from citrus may make the skin more sensitive to ultraviolet light, making the person more susceptible to sunburn. Some oils may change the effectiveness of conventional medicines – if you are not sure, check with a qualified pharmacist or doctor.